Preference for fresh food and poor perception about canned foods have resulted in Del Monte losing to store brand options. Current buyers are mothers, who shop for their families. We also identified young single men as an opportunity. Both share in the same values: convenience without compromising on nutrition and quality. Despite poor perceptions, canned foods still have a job to do. Traditional: Print, Out of Home || Digital: Pre-roll, Website re-design || Social: Contests, Recipes, Posts || Product Innovation: Resealable lids containing seasonings. When given a choice, fresh foods are everyone's preference. Canned is always bottom of the list. Canned foods are generally perceived as inferior and of lower quality, compared to fresh and frozen foods. Because of this low expectation from canned foods, price has become the differentiator in the category. Once the innovator in the canned fruits and vegetables category for decades, Del Monte now has trouble in the retail space due to a combination of factors: cheaper store brand alternatives and similar claims by everyone in the category. The brand has shown leadership in the category by removing artificial additives from most of their products, but this has done little to change poor category perceptions, and lower competition prices mean that the brand is slowly losing ground in a space where it’s been a champion for years. Our initial research revealed that mothers are the primary consumers for canned food. They value nutrition, convenience, taste and price when making food choices for their families. We then visited some stores to observe consumers shopping in the canned foods aisle, and found that most shoppers in that aisle were women, who were shopping with either their kids or partners. But, who else did Del Monte have the potential to reach? 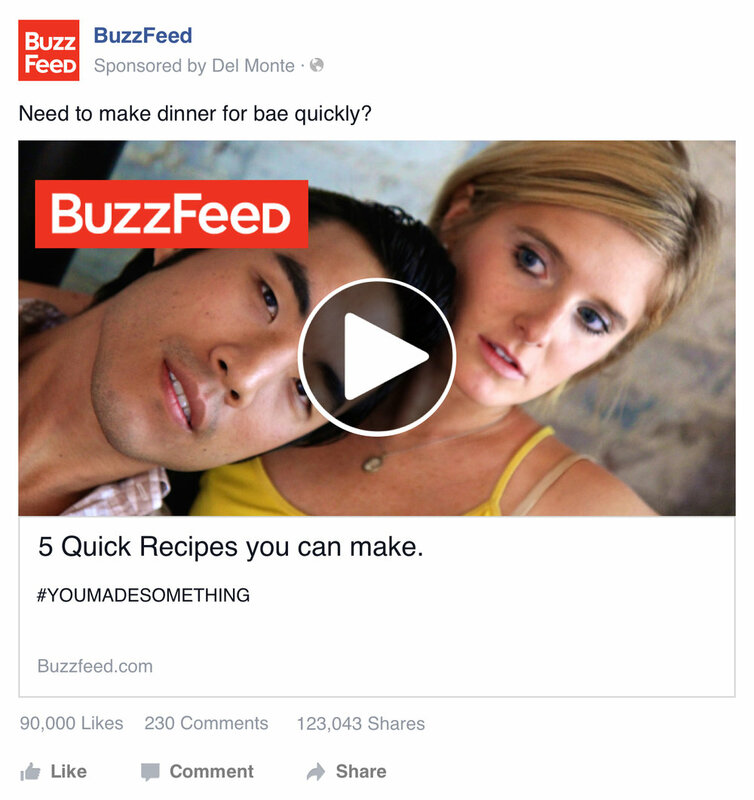 We identified an entirely different demographic that shared these same values: young single men. Typically in college or early in their careers, they mostly shop at convenience stores, look for quick meals that are healthy and won't cost them too much. We believed the brand has the potential to reach both targets without alienating either of them. Canned foods still have a job to do. Despite the general uneasiness consumers have about canned produce, there are still some faithful fans out there, across both target segments. Even mothers who claim to cook with fresh produce still acknowledged they sometimes buy canned fruits and vegetables due to longevity, and cost. 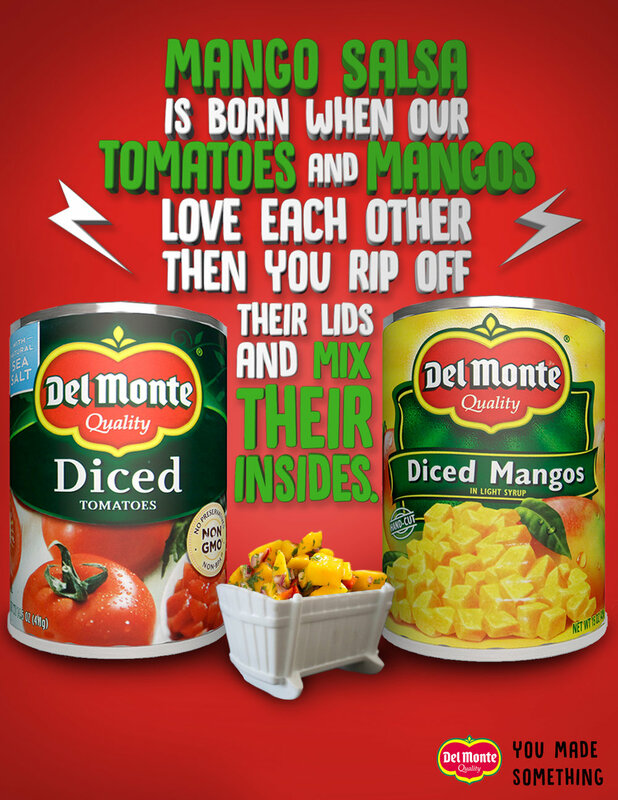 Based on what we discovered, we believed Del Monte has the opportunity to make our target feel confident in eating or cooking with canned fruits and vegetables and emphasize their health and nutritional benefits, putting the Del Monte brand top of mind when shopping. Del Monte is on your side; proud of the little or big successes you achieve in cooking the meals you love, whether for yourself or for the family. That’s something you should be proud of! No matter how easy it is to make a meal with Del Monte, you should still be proud of making it. We had creative executions for both digital and traditional channels, appealing to both targets with light-hearted and relatable content. The traditional executions reinforced the ease of cooking and the pride in making it, while digital channels had specific roles for our tactics. The new platform would be a prominent feature on our re-designed website. 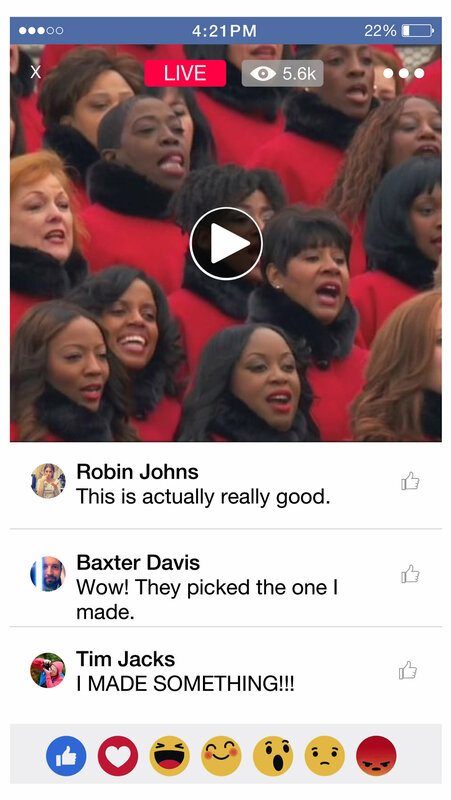 Other key additions include hosting brand promotions and partnerships, as well as real-time links to social media. 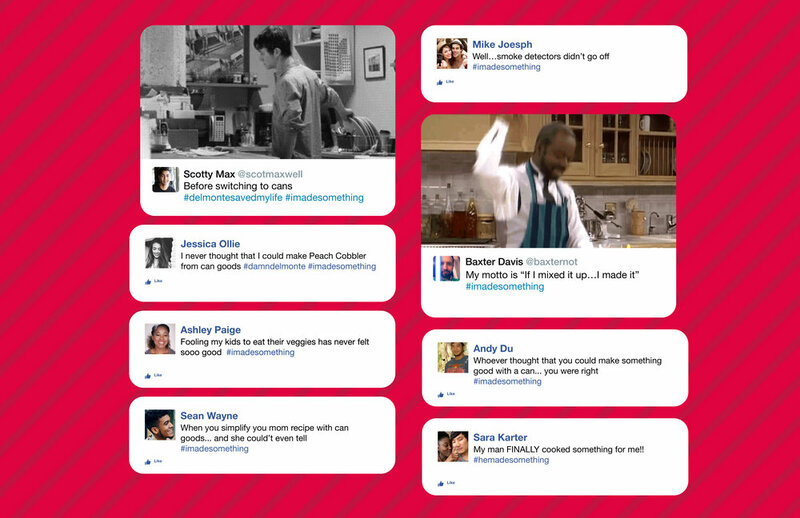 The social pages had multiple functions: reinforcing the idea of ease of cooking through frequent posts and recipe suggestions, amplifying the brand's promotions, and enabling live audience feedback and interaction. We came up with cans with plastic resealable lids, which also contained different seasonings, to aid in making meals quicker. Opening the tin lid will reveal different fun 'inspirational' messages recognizing the effort of cooking.